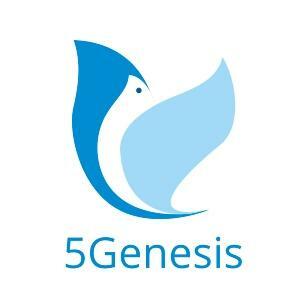 For 5Genesis, 5G Playground is offering the Berlin platform: Ultra dense areas covered by various network deployments, ranging from indoor nodes to nomadic outdoor clusters, coordinated via advanced backhauling technologies to showcase immersive service provisioning. The 5G Playground facility in 5G VINNI is located around Fraunhofer FOKUS location in central Berlin and has an extended number of remote/edge connectivity islands, such as the SES’s satellite interconnected facility located in Betzdorf, Luxembourg as well as the support for interconnection with a nomadic small size 5G edge network which is used for demonstrations at large scale events and conferences. Through SATis5, the 5G Playground is extended to cover the most significant use cases of satellite-terrestrial convergence in 5G. Through the ubiquity and the security of the satellite connectivity, the 5G Playground testbed is able also to gain its location independence and mobility of the edge nodes, considered essential for the most vertical sectors. 5G Enhanced Mobile Broadband Access Networks in Crowded Environments (5G-Enhance) is a Horizon 2020 joint project composed of EU research team (VTT, FHG, UOULU and Accelleran) and Japan research team (TUAT, NICT, UEC, CATV, JCTA and RWJ). 5G-Enhance intends to develop and execute large scale trial activities on actual testbed in EU and Japan where the 5G playground components are used as part of the micro-operator deployments. lightweight control plane and data plane programmability and their integration, customization, composition and run-time management towards different markets in Europe and Japan. 5G Playground is the central European testbed location for the 5G!Pagoda multi-slice deployments. Fraunhofer FOKUS offers with its toolkits Open5GMTC and Open5Gcore within the 5G Playground an experimental platform for realizing the BERCOM demonstration scenarios for factory shop floor connectivity. Such local communication capabilities are essential for safety-critical applications, to ensure secure and efficient communication even under constrained conditions.